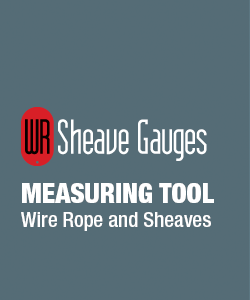 Stainless steel wire rope and sheave gauges for measuring worn sheave grooves on the end, together with a Go-NoGo rope gauge on the shank. The gauges are produced in thick 18 gauge (1.27mm) Stainless Steel. 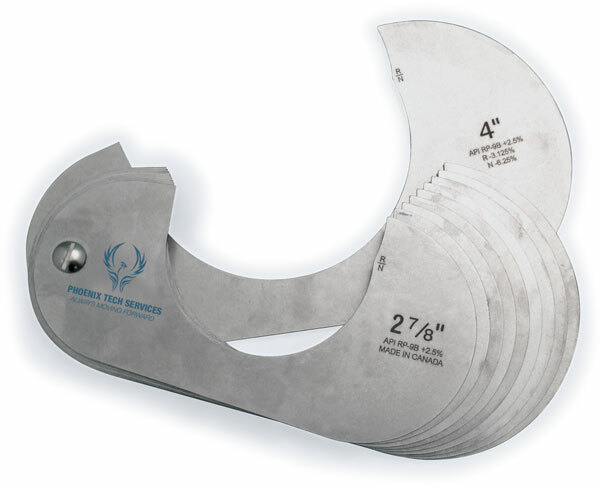 The Sheave Gauge is manufactured to Nominal plus 2.5%. When the sheave gauge is placed in the groove, the geometries should match without any space at the sides or bottom. Use the NoGo Gauge to determine when the Wire Rope needs to be replaced. Available in 10, 12, 15 and 20 gauge sets. Tolerance ± 0.127mm / ± 0.005"